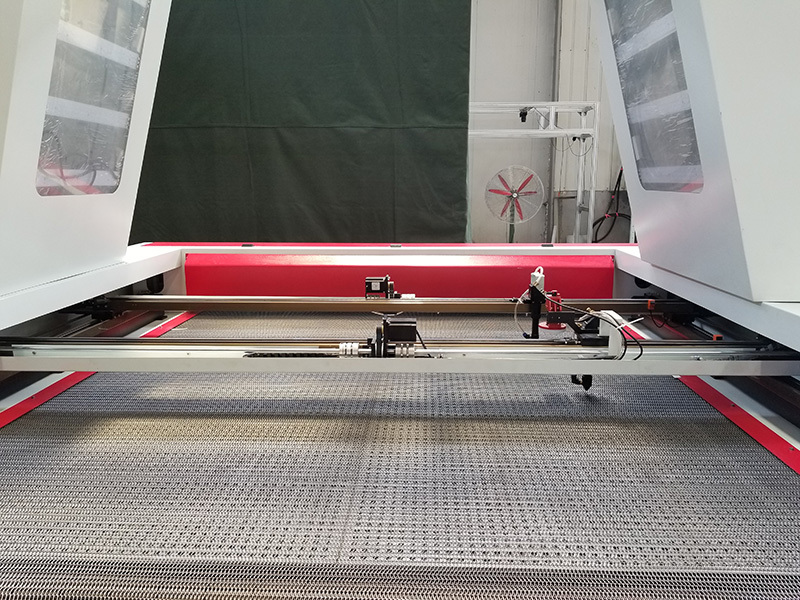 Laser garment cutting machine with CCD camera and conveyor system (automatic feeding system, conveyor belt), which is designed for garment, apparel, clothing, fabric and textile. Laser garment cutting machine is also called garment Laser cutting machine, garment Laser cutter, laser garment cutter. 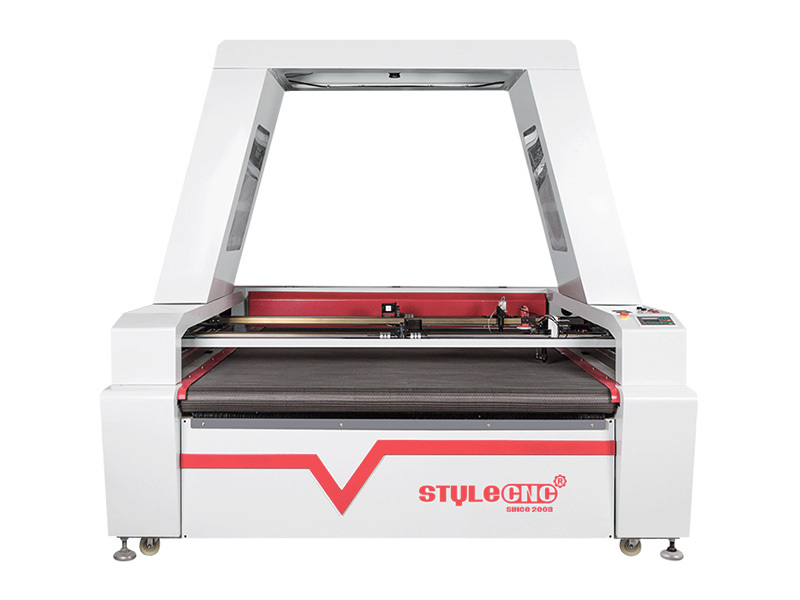 STJ1610A-CCD laser garment cutting machine is equipped with automatic feeding system, conveyor belt, which is suitable for garment cutting, cloth cutting, leather cutting, fabric cutting, etc. 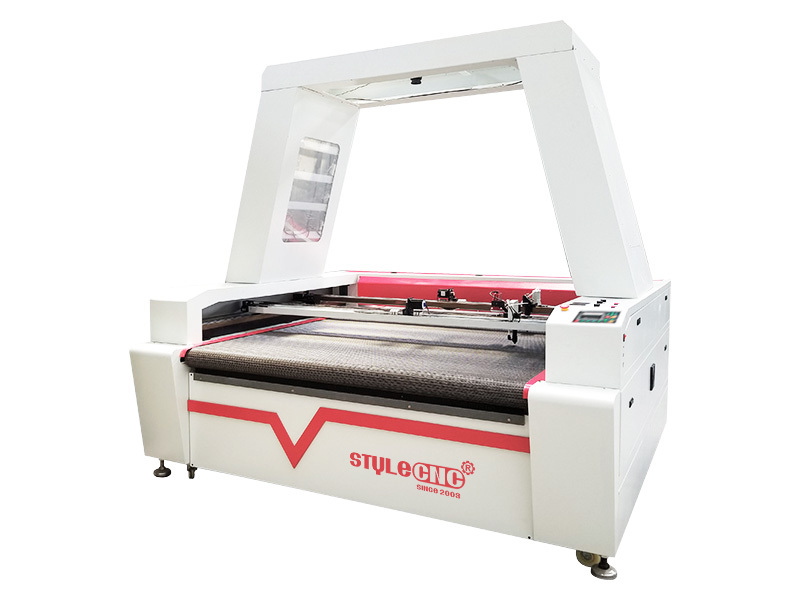 The garment laser cutting machine can also be used to cut car pillow, cushion, mat, Car/automobile/automotive seat cover, steering wheel cover, dash board cover, automotive sunshade, clazzio leather seat cover and other car interior products. 1. Specially designed for automotive interior decoration cutting,within the width of 1600mm. 2. Double laser heads auto movable processing,double efficiency compared with one head. 3. Big motor system ensuring high efficient and precision processing. 4. Conveyor moving working table with auto feeding device realizing continuous feeding and cutting. 5. Offline and online operation modes for your selection. 6. The professional software for automatic nesting,enhancing material utilization. 7. Garmet laser cutter with CCD Camera is ideal for cutting digital printing textile fabrics of all shapes and sizes. 1. Edge smoke outlet can protect the nets-worktable, extend the usage life of the machine. 2. Brush roll can clean the worktable timely, without catching fire phenomenon. 3. Voltage separation, the high voltage is separate from the low voltage, which is more secure and Much neater . 4. The body of the garment laser cutting machine adopts high quality aluminum, professional model and has the specification of strong and not easy for distortion. 5. 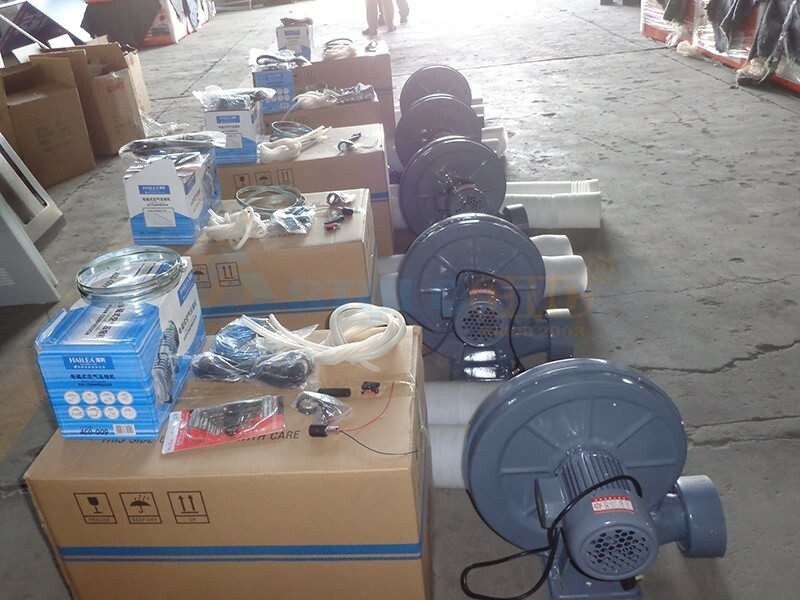 The main parts of the electrical line adopts the imported materials. 6. This garment laser cutter has features of high precision, fast speed, good quality, automatic sealed cutting edge, no fraying and no deformation. 7. 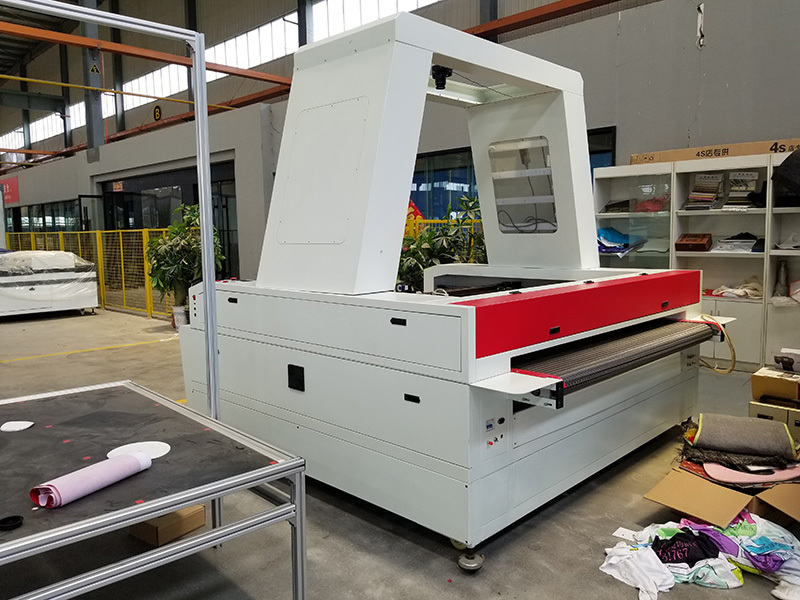 The garment laser cutter adopts CCD Camera for precise positioning, CCD camera scan the fabric, detect and recognize printed contour, or pick up printed registration marks and cut the chosen designs with fast speed and high accuracy. All these features are very suitable for textile fiber and various garment cutting. 1. Service before sales : our salesman will try to know your requirement about our garment laser cutter specificaiton and what kind of work you will do . Then we will offer our best solutions for your requirements to confirm each customer can get their suitable garment laser cutting machine. 2. Service during production: we will send photos of garment Laser cutters during production. So customers can know more details about the processing of making their garment Laser cutting machines. 3. 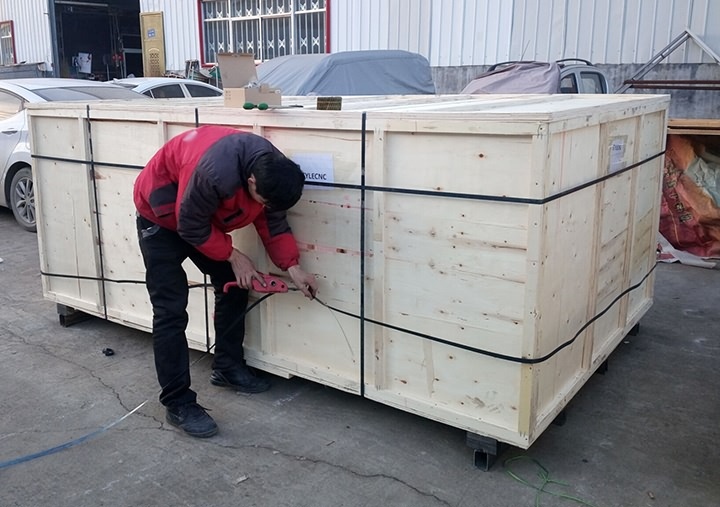 Service before shipping: we will take photos and confirm with customers the specification of their orders to avoid the mistake of wrong making garment laser cutting machines. 4. Service after shipping: we will check the approximate date of arrival and send the documents to do customs. So customers can know when it will arrive and make enough preparation. 5. Service after arrival: we will confirm with customers if machine is in good condition and see if any Spare parts missing . 6. Service of training: there are some manual and videos about how to use the laser garment cutting machine, if some customers have question about it. we will have professional technist to help them to install and teach how to use through whatsapp, skype, calling, video or email. 7. Service of warranty: we offer 1 year warranty for the whole laser garment cutting machine and 10 months for laser tube. If any parts of our garment laser cutter is broken. we will replace it for free. 8. 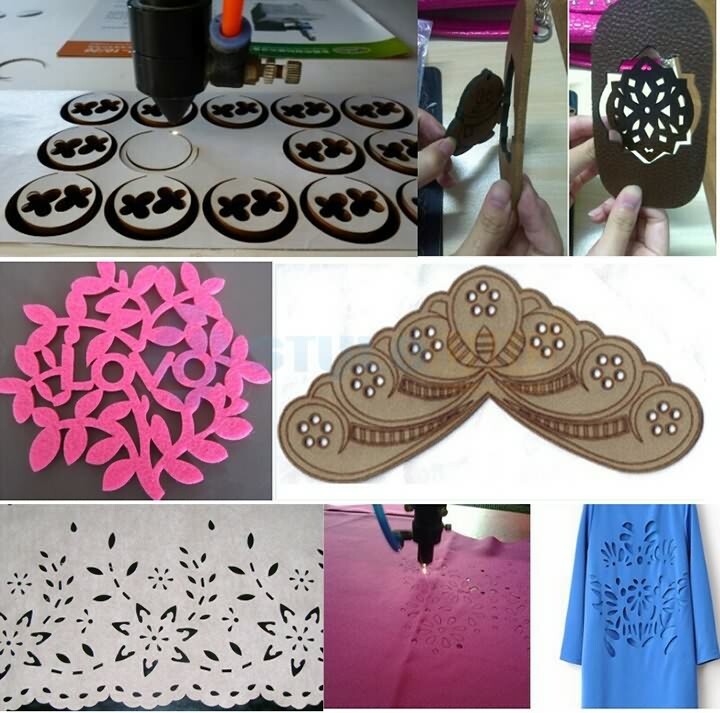 Service in longterm : we hope every customer can use our garment laser cutter easliy and have a fun of it. 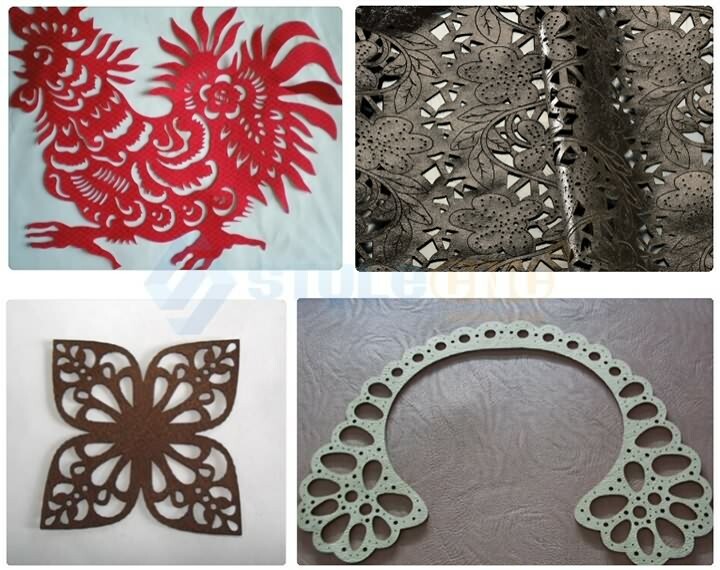 If customers have any problems of the garment laser cutter in 2 or 3, 5 years, they can contact us. we are always right here waiting for you. 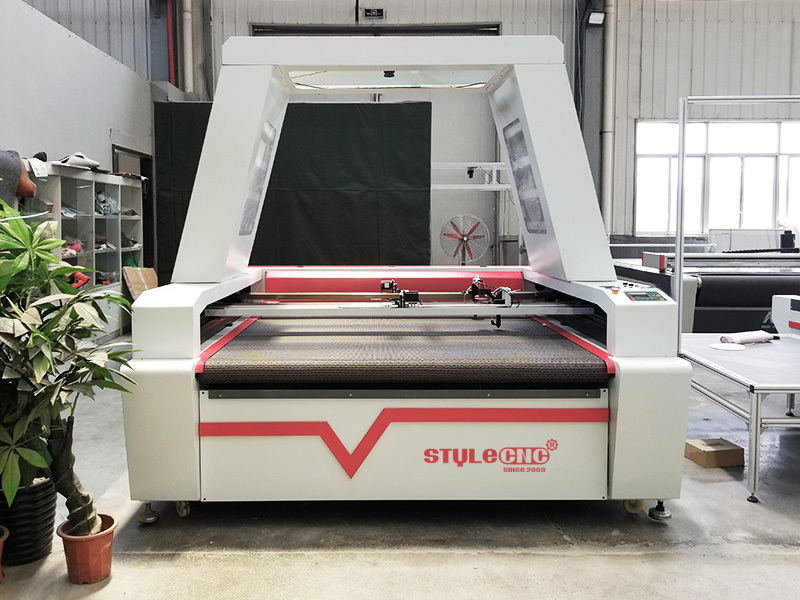 License: The text of "Laser Garment Cutting Machine with CCD Camera and Conveyor System" by STYLECNC is licensed under a Creative Commons Attribution 4.0 International License. How does a laser cutting machine work? Why CO2 laser cutting machine X axis and Y axis shaking? How to operate a laser cutter machine? 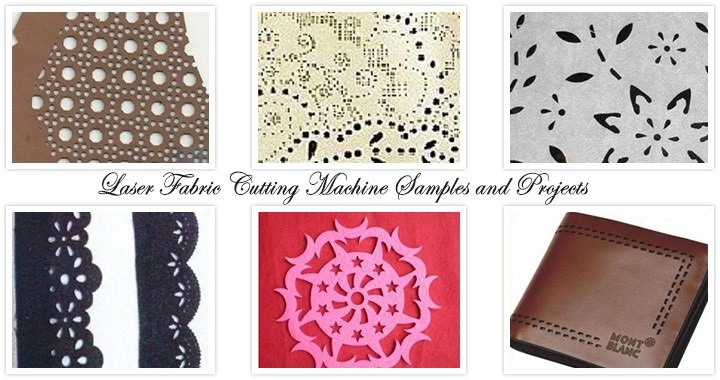 Very good fabric laser cutting machine, it works perfectly, easy to operate.